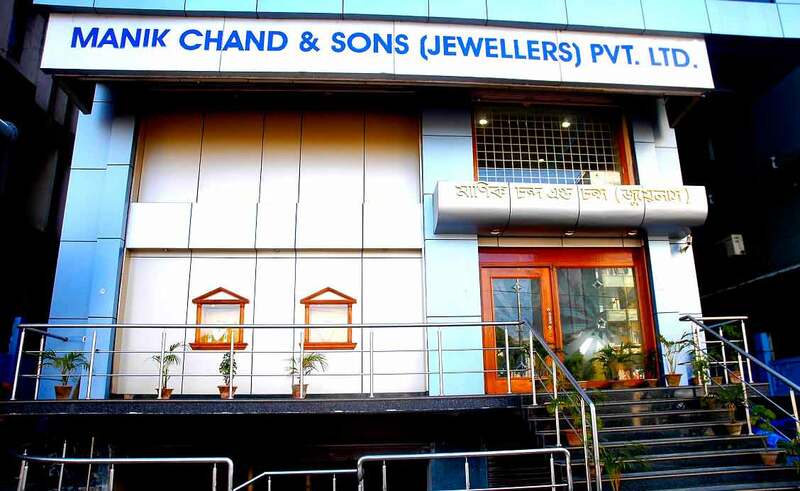 MANIK CHAND JEWELLERS group is one of the leading jewellers in India having multiple exclusive showrooms in G.S.Road / H.B.Road / K.C.Road Guwahati and Camac Street, Kolkata. The company has been selling traditional and trendy designed jewelleries in Eastern as well as North Eastern Region for the last five decades. Being pioneer in 22K Hallmarked gold jewellery in N.E.Region, has set its aim to meet the challenges at international standard. We are specialized in converting the customers imaginations in the form of beautiful jewelleries with purity and style with variety of designs providing opportunities of vast selection for their satisfactions. Our aim and slogan is to provide “Beauty with Purity”. Manik Chand & Sons (Jewellers) Pvt. Ltd. , G.S.Road, Guwahati outlet is the single largest exclusive jewellery showroom covering 6000 sq.ft area situated at the most emerging and happening place in the G.S.Road which is the most nearest place around the Guwahati metro area parts. An interesting story behind this exclusive outlet design is the conception and customers who seek or have experienced exemplary shopping which was never provided by any kind in the past decades. We have gone through various suggestions and ideas to provide our valued and esteemed customers in a wide central location with all the amenities around and its kind very first concept presentation itself. We pay utmost attention to incorporate and preserve the traditional heritage while designing the jewelleries for the present generation, which has resulted into overwhelming response of the customer at MANIK CHAND JEWELLERS thereby making Manik Chand Jewellers on the top of the professional outlook in their business of jewellery in the Eastern and North Eastern Region of this country for the decades together. This has motivated Manik Chand Jewellers to enhance and develop their business of jewellery to the other parts of the country for which the steps are on the way and so also to participate in the present competition organized by your esteemed organization.